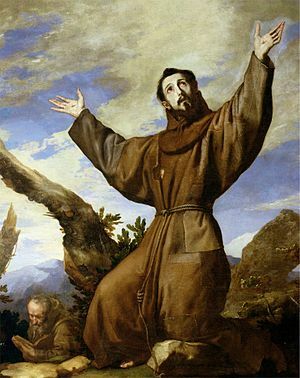 St. Francis of Assisi (November 26, 1182 – October 3, 1226), the man after whom the current pope is named left an indelible print in the sand of time because of his penitential or repentant lifestyle. 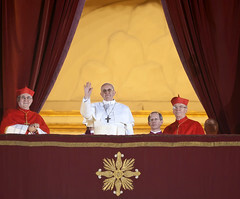 On March 13, 2013 Cardinal Gorge Mario Borgoglio of Argentina was elected as pope, yet he took the name Francis. Therefore, he is known as Pope Francis 1. You might be wondering, “What is in a name?” Usually, newborn babies are given the name of another person. That is, some babies are named after their aunts, uncles, or grandparents. For example, my parents named me after my grandfather, Abdulai Tommy Sowa. Recently, I did a legal name change. I changed my first and middle names to Charles and Timothy (CT). I named myself Charles for Charles Spurgeon – “Victorian England’s best known Baptist minister”, and Timothy – The Bishop of the 1st century churches of Ephesus in Asia Minor. Remember, Martin Luther King, Jr., the African American clergyman and Civil Rights leader was named after Martin Luther the Protestant German Reformer. We can make the conscious decision to overcome materialism, refuse to live exploitative lives, and practice generosity. When people become engulfed by the love of money, they employ all kinds of Machiavellian or manipulative practices in order to amass the mundane things of this life. Instead of consuming the best and leaving the poor to glean on our crumbs we should lavishly share our best with them. Indeed, the lines between the penitential life and the compassionate life intersect. Surely, God is calling the whole body of Christ to be an “includer” of those who feel left out, and to be a voice for the voiceless. Both the rich and the poor reflect the glorious image of God. Therefore, the latter must be cherished and honored as much as the former is. Fundamentally, we are all the same. We are all equally important regardless of social status or physical condition. Neither the elite nor the common should be ignored. The church needs to do more in terms of ministering to people who are grappling with untreatable illnesses. HIV/AIDS patients, for example, should be treated with dignity. Are we to cast judgment on those who are falling through the cracks due to their indiscretion and poor decisions? Certainly no. Being judgmental can hurt the feelings of people. Why should we (preachers) condemn people if we don’t have to? Our authority is not to preach judgmental sermons; our authority is to preach the redeeming love of Christ! If Saint Francis of Assisi left a legacy of penitence, then it follows that Pope Francis’ leadership of the RC Church must epitomize repentance. There must be a clarion call to repentance that reverberates across the globe! Integrity issues, habitual temptations and wrongdoings among the leaders of the church must be dealt with. Each and every one of us must realize our sins and be willing to change our ways. Since he has the awesome responsibility of leading the 1.1 billion-member Roman Catholic Church, I pray that Pope Francis will live out the true meaning of his name.